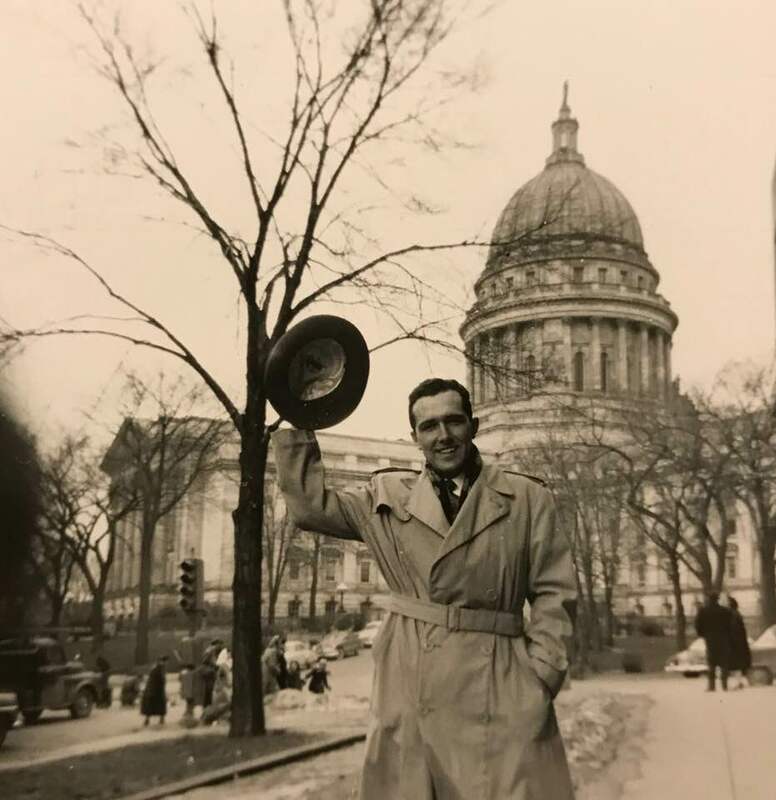 Bernie Hillenbrand stands in front of the Wisconsin state capitol in this undated family photo. As NACo's first executive director Bernie Hillenbrand took county government from relative obscurity to a political mainstay in Washington, D.C. Working out of an unused laundry facility and taking meetings in Washington, D.C.’s Mayflower Hotel, Bernard “Bernie” Hillenbrand took charge of NACo as its first full-time executive director in 1957. Over the next 25 years, his vision and personality led the organization to change the way counties were represented on the federal level. After retiring in 1982, Hillenbrand retired to pursue the Methodist ministry. He died Oct. 5 at the age of 93 after a brief illness. That building process capitalized on the enormous support county elected officials could muster for causes like revenue sharing, funding for federally-managed land and the battle against unfunded mandates. But beyond that, Hillenbrand saw a great value in the NACo’s potential to improve county operations and the savvy of county officials, all contributing to help counties emerge from an enduring reputation as being home to political boss rule and a lack of professionalism. Born in Syracuse, Hillenbrand joined the Army at 18 and fought in the European theater. He was wounded twice by German mortars in the Battle of Hürtgen Forest and spent a year and a half recovering before joining the Merchant Marines. He then earned masters degrees in public administration Syracuse University and theology from Wesley Theological Seminary. While working as assistant director of the American Municipal Association, he initially turned down the NACo job, but he saw counties’ emerging influence and when a second offer came around, he accepted. He developed an appreciation for counties’ rising importance while working for the mayor of Syracuse, after noting how many functions of local government ultimately involved the county. Hillenbrand’s tenure at NACo stressed the power of relationships, Naake said, and Hillenbrand said that extended to the staff. In 2016, he recounted how annual three-day-long planning meetings at his Washington County, Md. farm included every staff member. He was proud of NACo’s inclusiveness, particular its distinction in electing the first Japanese-American man and African American woman to lead a national political organization. Hillenbrand retired from NACo in 1982 and served as a Methodist minister until the compulsory retirement age of 70. Hillenbrand lived in Washington, D.C. and raised three daughters, a son and two stepsons. Even into his mid 90s, Hillenbrand rode six miles a day on a stationary bicycle in his apartment, which included his original desk from the laundry room in the ’50s. “He had this optimism that he could do anything, that NACo could do anything,” Naake said.